Call to action!!!! - DAMN Riders - No rules, Just ride! Below is the "PC" message for those of you with delicate sensibilities. For the rest of you, get your DAMN arses in gear and write Mr Perdue NOW!!!! The deadline is Oct 4th! It's been a while since the Maryland OHV Alliance has reached out to you. The forward momentum has been incredible this year, as we've now have three potential ORV trails pending final adjudication with Maryland Department of Natural Resources (DNR). As much as we'd like to think this tough part is over, the truth is we still need your voice to be heard! Three new ORV Trails being considered are: (1) one ORV Trail in Garrett County on the Savage River State Forest, in the general vicinity of St. John's Rock-Red Dog Road, (2) two ORV Trails in Washington County, on DNR managed lands on Sideling Hill north and south. Collectively, we all realize that these initial trails can't be the "end solution" to Maryland ORVers. 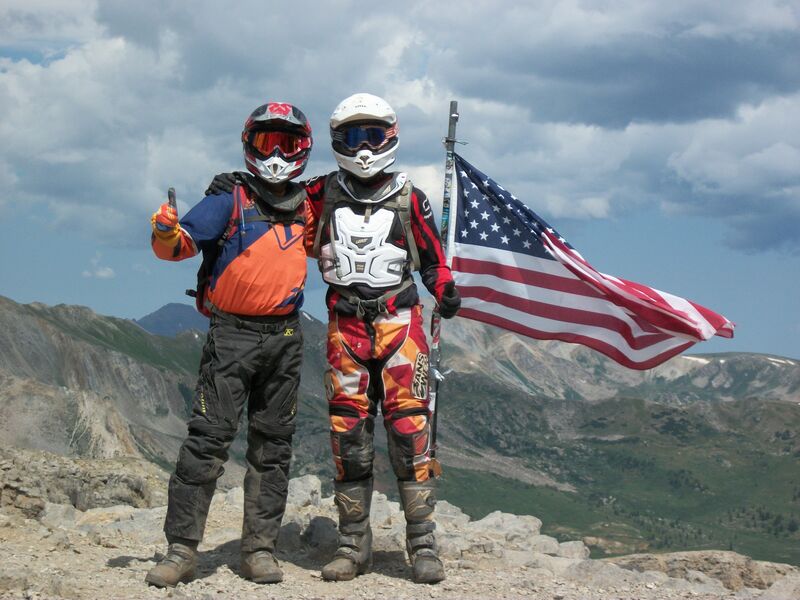 However, they do represent DNRs commitment to reinvigorate the ORV trails within Maryland. The Alliance sees them a pivotal point and a clean slate to build a top-notch trail system. There are only three stages remaining before the trails could be opened. However, this stage needs you! DNR has begun the public notification stage, which solicits opinions and concerns from any and all of Maryland's public. Maryland ORVers need to send a note and support these trails. Of course we know most folks aren't writers. This isn't a poetry contest; the most important thing is that you send a note/email to DNR expressing your continued interest in Maryland's ORV trails. Even if all you have time to say is "I support the proposed ORV trails". As an off-highway vehicle user and a resident of Maryland, I strongly support opening the Savage River State Forest and Sideling Hill areas to responsible, sustainable OHV use. The previous closure of Green Ridge State Forest to OHV users was most unfortunate, resulting in my family spending our OHV time in neighboring states and supporting their economies. The trail proposal provides a sound beginning. However, just a like a ski resort can't serve their entire clientele with a single slope, we encourage DNR to consider broadening the ORV system to include more technically challenging jeep, ATV, and bike trails. Lastly, I would like to encourage DNR to establish sound metrics to objectively quantify condition of the trail. This will allow a consistent method to monitor the trails, and predict when the trail will need remediation work. Nobody wants to see trails closed abruptly, in a repeat of Green Ridge State Forest. As responsible OHV users, we are all conservationists and want to protect the resources we use. If you haven't written, please do so now! Also, please mention that it would make more sense to reopen Green Ridge instead of creating trails at Sideling. I just found out we have a window of opportunity to influence that. Further, I would encourage the State to consider reopening Green Ridge instead of creating new trails at Sideling Hill. It would be more cost effective to remediate issues at Green Ridge than to open new trail at Sideling. There will be a second meeting in regards to the potential trails at St John's Rock (Savage River) and Sideling Hill WMA. The meeting will be Wednesday September 25th 2013 at 7 PM in the Hancock Town Hall 126 W. High St, Hancock, MD. Spread the work and show up if you can!